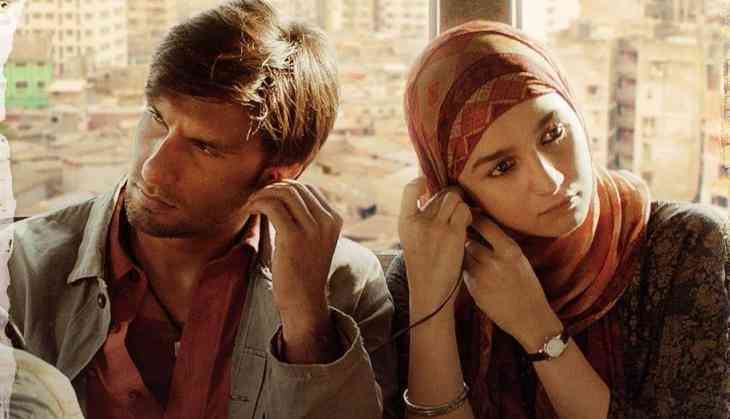 Since the trailer of Zoya Akhtar’s movie Gully Boy is out people are going gaga over it, the movie Gully Boy aswell the actors Ranveer Singh and Alia Bhatt are gettings loads of applauds regarding their acting in movie. As everyone is eagerly waiting for the movie to hit the theaters and just before the day of releasing you manage to get the ticket for free. Isn’t this sounds interesting? As ths movie is getting so much of love and hipe that even Myntara, Amazon including others introduced cashback offers in return of movie tickets of Gully Boy. Popular shopping website, Myntra.com is running a special contest, in which, if you buy Adidas merchandise, on the website, you stand a chance to win movie tickets for the Alia Bhatt and Ranveer Singh film, Gully Boy. In the promotional advertisement, Ranveer is seen sporting a black Adidas hoodie sweatshirt. Do note that the offer stands for another 11 hours only. Amazon Pay too is running an offer, in which, if you buy tickets using your Amazon Pay Balance, you will get a cashback of 20 per cent on your movie ticket, up to Rs 125. All you have to do is to log in your account at Amazon pay account and buy the movie tickets and the cashback will happen automatically, no coupon code required. PayTM too has an offer, in which, you can get a cashback of up to Rs 200 for buying Gully Boy movie tickets. The Promocode for availing cashback will be sent to your contact number post purchase of the deal. Similarly, PayPal, PayZapp and Mobikwik too are offering similar deals to customers on buying Gully Boy’s movie tickets using their app. PayPal is offering an instant 50% cashback, upto Rs 150 on the movie tickets, while, PayZapp is offering 25% cashback, up to Rs 250. Mobikwik meanwhile is offering 15% supercash – all you have to do is use the promo code MOBIBMS to avail the offer. The film is hitting the theater’s on the Valentine’s Day, 14th February 2019. Gully Boy tells about the life of Mumbai’s street rappers. The story is about a boy starring Ranveer Singh who becomes the famous rapper after so much of struggle in his life and also elaborating his love life starring Alia Bhatt in movie Gully Boy.